We offer led bike rides up to 3 times a week on Wednesdays, Saturdays and alternate Sundays, usually starting from Bede Park in central Leicester. See our programme for full details. We have cycle weekends away and most years one or two longer cycle tours as well. We organise social events throughout the year. Wednesday evenings we offer a ride of about two hours, starting from the shops on Western Boulevard next to Bede Park at 7pm and ending at a pub within 2 miles of the city centre. This is a moderate paced ride of about 10mph that visits villages around Leicester, about 15 to 20 miles in length. Saturdays we offer a faster ride of at least 30 miles at about 12mph, starting from Bede Park at 10am, but in the depths of winter we change to 10.30am start. Please check the Saturday ride page for start times. Alternate Sundays we offer a ride of about 30 miles at about 10mph, including a lunch stop at a pub or tea room, starting from Bede Park at 10:30am. Leicester Spokes was established in 1983 as a cycling campaign group. Over the years the focus slowly changed until now we are almost entirely a cycling group although we do take part in local cycling policy and planning discussions. Leicester Spokes led rides are free to attend, however riders are expected to become members after attending two rides, with annual membership at ₤4 unwaged, ₤8 waged and ₤12 family. 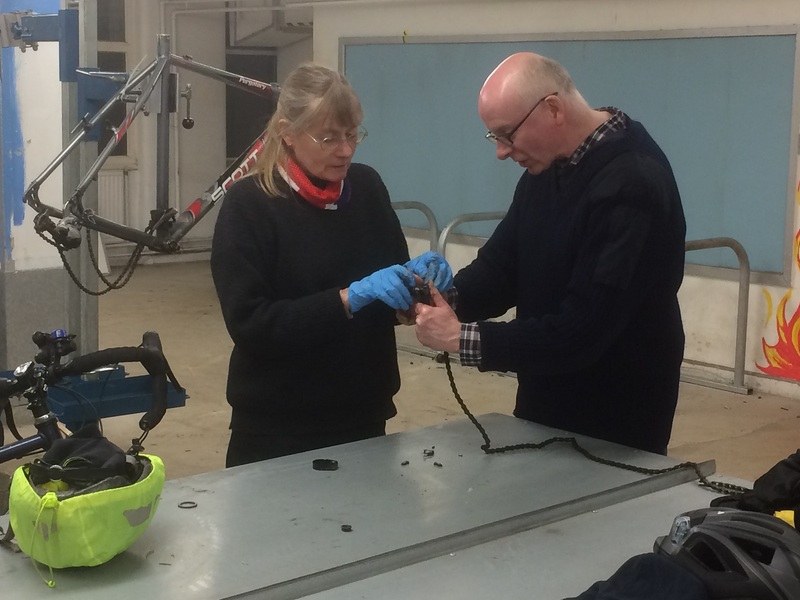 Please make sure that your bicycle is in good working order, and bring along a spare inner tube and repair kit. For Wednesday evening rides working lights are also required. Participants on Leicester Spokes led rides must be over 17. Rides are unsuitable for young children due to the speed, distance and being on roads, however older teenagers may be capable of them providing they are accompanied by a responsible adult. Leicester Spokes and its members cannot accept liability for you or your possessions. It is your responsibility to arrange insurance and to follow the Highway Code at all times. Your participation on a led ride is acceptance of these conditions. 18 mile ride from Bede Park. 0 mile ride from Thornton Nurseries. Placeholder for CTC Back to the Fuschia Rides of 14, 25, 50, 75, 100 & 110 miles. 32 mile ride from Bede Park to TBA. 50 mile ride from Bede Park to TBA. 0 mile ride from Bede Park to TBA. Event details were last updated on 22 April 2019.